Acid sludge (also referred to acid tar) is one of the main type of oil refining industry waste. It is formed by the purification of petroleum products, apparatuses and tanks by concentrated sulfuric acid. Refinery acid sludge is highly viscous tar-like mass that contains heavy hydrocarbons, sulfuric acid and water. The sludge is accumulated in special ponds close to major refineries. These ponds are designed only for temporary storage of hazardous waste, where it is dragged on for decades. The further existence of acid ponds will lead to environmental disaster, so in recent years around the world it is being actively seeking for effective solutions to neutralize the acid tars and restoration of disturbed lands. Due to the urgency of the problem, the company IPEC has offered its own technology for acid sludge disposal. In September 2014 by order of the Omsk lubricants plant (Gazpromneft- Lubricants LTD) IPEC held its first acid tars into synthetic oil equipment trial. – Dmitry, how do you evaluate the problem of acid tars in the world and in Russia? Disposal of sludge ponds is a problem in the waste management market. Acid tars pose a threat to the environment: its accumulation leads to deep soil degradation, pollution of rivers, groundwater and air. Several million tons of acid sludge accumulated only in our country. For example, in the Yaroslavl – about 600 thousand tons, in the Nizhny Novgorod – about 300 thousand. Tens of thousands of tons accumulated in Bashkortostan, Tatarstan, Leningrad region, Perm region and other regions. The total increase in waste at Russian petrochemical and oil refinery plants is up to 300 thousand tons annually. State, at least for now, is not ready to go toward experiments with the proposed innovations and disposal options of acid sludge. Everyone understands that this requires large expenditures that will not pay off, therefore they wait until it will be able to make a profit on waste. Meanwhile the ecology of the country is getting worse every day. – What are the acid sludge disposal problems oil refineries meet with? A key difficulty in processing of such waste is the content of sulfuric acid, which leads to rapid corrosion of equipment and prevents the conditioned product production. Companies that would offer an effective and working technology for waste acid tars, today in Russia are not presented. Therefore, enterprises are forced to collect waste in anticipation of a simple and effective solution to sludge treatment and to pay impressive environmental fines for the storage. – Are there any acid tar treatment solutions that are used abroad and in Russia? – Predominant acid tars processing abroad is the high-temperature oxidation during which sulfur dioxide converts to sulfuric acid. At the same time, the valuable hydrocarbon content disappears. In Russia acid sludge is being mixed with other hydrocarbon products, for example, heavy oil. Nontheless this technology is not eternal, as the oil refining depth increases, heavy residual oil content becomes smaller, respectively. Existing technologies for the processing of acid tars into the components of road surfaces are very complex and require significant investment in expensive equipment. Often the companies got rid of this complex waste uses not the most civilized ways. For instance, the sludge is burnt or buried mixed with lime, which causes serious harm to the environment. After all, the other direction is to apply simple and quite effective technology that do not cause damage to the environment. – Is it the technology offered by IPEC? – Exactly. IPEC technology, based on pyrolysis, is the high-temperature decomposition of acid sludge without oxygen. The processing product is synthetic oil (liquid fuel oil). The treatment is performed on a Continuous Thermal Decomposition Plant (UTD-2). The whole process can be divided into several stages. At the beginning, the waste is fed into the hopper. During the plant continuous operation the hopper is heated by flue gases to reduce the viscosity of the feedstock. The second stage is an automatic mixing and neutralization of simple chemical reagents that are selected individually for each enterprise. For example, the ammonia water formed during some technological processes at Omsk lubricants plant was used as a neutralizer there as well. Further, the feedstock enters the reactor where it is heated and thermally decomposed to form a pyrolysis gas and liquid fuels. At the last stage, the neutralization and purification of flue gases is carried out in a multi-stage gas cleaning system. Pyrolysis gas is redirected to the burners to maintain self-sufficient operation of the equipment. The liquid fuel is supplied to the storage tank. It should be mentioned there is no pretreatment of waste: neutralization and mixing of tars is carried out directly in the plant, the entire process takes place at the same production line and controlled by automatic system. – Is it profitable to treat the acid sludge by applying your technology? – Some companies that came to us paid up to half a billion rubles of environmental fines each year. While there is sludge storage pond the fines will be charged. The treatment of such ponds will provide an opportunity to avoid the annual payments. The economic effect is also achieved by obtaining marketable product – liquid fuel. 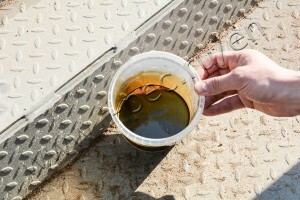 Output of synthetic oil is approximately 30% per ton of raw material. The resulting fuel can be used in boilers and generators. The plant is capable to process a wide range of oil-contaminated waste: oil sludge, crude oil distillation bottoms, heavy oil, etc. Equipment productive capacity – up to 9000 tons per year. – Tell us about the operation test. What tasks do you set for yourself ? And what are the results of the experiment? – The main task was to offer the technology that would solve two main problems of enterprises: environmental safety and benefit of treatment. At the trials we used the waste from Omsk lubricants plant as raw material with sulfuric acid content of 11-15%. The treatment of 60 kilograms of acid sludge was resulted in 20 kg of fuel, 7 kg of dry residue, 2 liters of water and 23 cubic meters of gas, which allowed maintaining the process within 40 minutes. Trial operation test of equipment confirmed the highest degree of flue gases purification and the absence of harmful emissions into the atmosphere. Dry residue examination defined it as 4 hazard class. The laboratory testing of fuel oil showed that it can be used according its intended purpose without any further purification. Thus, we can say that we offer the most simple, effective and safe solution for the acid tars treatment. 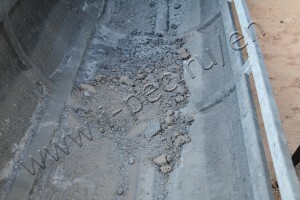 When using the material or any part of it the link to the website (www.i-pec.ru) is required.